Giving is the natural law of all life for without it life would cease to exist. 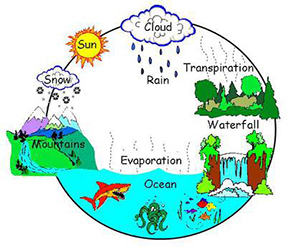 Plants give off oxygen while animals in return give off carbon dioxide. Our Sun, provides us with light and solar energy. In giving, we contribute to this great cycle of life and the more we give, the more avenues are given at our disposal to give even more. This principle can be observed in a sincere teacher of a certain discipline. As one teaches, one also learns because the teacher observes and learns from how the student acquires the given knowledge. Mistakes and pitfalls by the student give the teacher an additional point of view of the subject which is taught. The teacher in the process learns more and is then able to teach more. This process holds true in other fields as well such as entrepreneurship, sports, medicine, and many others. The practice of giving trains us to be fearless and at the same time we take advantage of the Law of Compensation; as we give, so shall we receive. The practice of giving is a powerful technique to multiply one’s blessings. And if it is prosperity that you want to reap, you must sow prosperity. 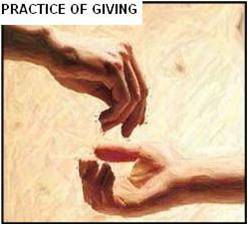 The best way to sow prosperity is by giving as a benevolent gesture of sharing your blessings. 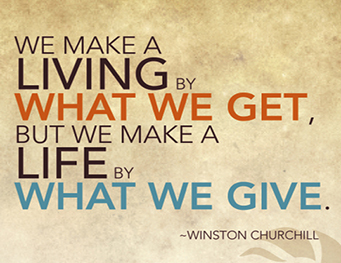 When you give, you become an effective conduit of prosperity. Then you become more prosperous. For breadwinners, we know that the principle of tithing declares that one must give away to charity 10% of one's gross income, of the fruits of one’s labor. For students, the simple practice of setting aside a part of your daily allowance for charity is good enough just to imbibe the practice of giving and make it work to your favor. Now, get a small box that will serve the function of a piggy bank. It should have a slit or an opening through which you can put coins inside. Then say a simple prayer of thanks for everything in your life. After saying your prayer, get some coins and be ready to drop them inside your small box or piggy bank. The amount of money you will put in does not matter very much. You can put in a few cents or perhaps 1, 2, 5, or 10 pesos daily, depending on your present needs and capability. Do this for 40 days. On the 41st day, get all the money that you have put inside the box, and give it to your church, to charity, to needy individuals, or to organizations that serve the underprivileged. NEVER use the money or even a portion of it for your own personal needs. 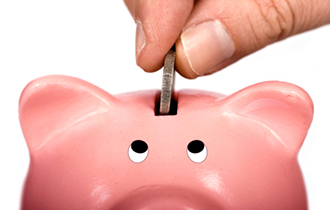 Then start once more to save money inside the same piggy bank. As you put in money every day, do not forget to maintain a consciousness of thankfulness throughout that day. Then again on the 41st day, give all the contents of the box to charity. Also put aside your old shoes, clothes, and other things that you no longer need but can still be useful to others. At the end of every year, or when you have collected enough, give these things to a needy individual or to a humanitarian movement. Do not forget other ways of giving, such as gifts of kindness, cheer, friendliness, compassion, and sympathy. These non-material ways of giving and sharing are as helpful to others; they are sometimes even more greatly appreciated than material help. Be generous in your giving. Used to experience the joy of giving; to stimulate the continuous flow of blessings towards you for attainment of prosperity and success; and to develop compassion and charity. The practice of giving will create a new pattern or program and change one’s life and destiny not just for the better but for the best. The health will improve, financial worries will be gone, and eventually, attain a sense of peace. Law of Giving and Sharing: The working of the Practice of Giving is based upon natural, universal laws, the Law of Giving and Sharing, which states when you give of yourself and share your blessings with others, you earn the karma of such a noble deed. You reap the fruits of the good deed of giving. But as God’s law is most compassionate, you do not just reap the exact measure of your giving, but many multiples of such measure. This means that if you give a certain amount to charity, the benefits that will redound to you will be much, much more than the recipient. Law of Karma or the Law of Cause and Effect: The practice of giving is also governed by the Law of Cause and Effect that whatever you give comes back to you multifold, and that you sow what you reap and thus guarantees that you shall receive plenty for what you give. A man’s status in each lifetime is governed by this law. Simply put, it decrees that nothing just happens. All events, situations, blessings, and hardships that befall man have reason for happening, and this is because man caused them to be. This, in a nutshell, is the Law of Cause and Effect. There is nothing mysterious or difficult to understand about this principle. Man does something, and reaps the fruits of that action. If he did something that is wrong or contrary to the principles of rightness and justice, then he will reap bitter fruits. If he did something that is good and beneficial, then he will reap blessings. An action causes a reaction, as goes the law of physics. “As you sow, so shall you reap,” goes the Biblical passage. “An eye for an eye, a tooth for a tooth,” goes the Quranic dictum. Importance of cheerful giving: One must give joyfully and sincerely, from the heart.